So it was the 70th Primetime Emmy awards ceremony recently and some of the brightest and favourite television stars walked down the red carpet. Some of the biggest achievers were shows like Barry and The Marvellous Mrs Maisel and GOT. Movie actress Scarlett Johansson came to support her boyfriend and Emmy’s host Colin Jost but she just sparkled and grabbed all the attention. Both were dressed in Dolce & Gabbana. Johansson wore heels by Christian Louboutin and jewels by Nikos Koulis. 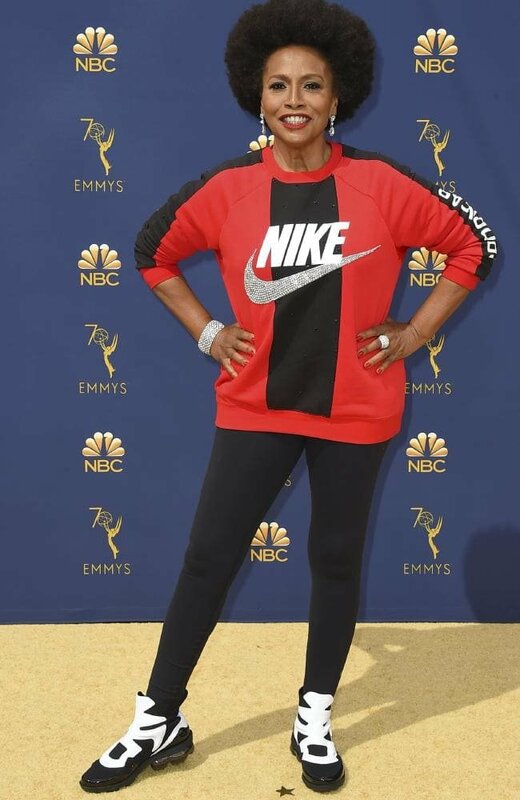 The Black-ish actress Jenifer Lewis was spotted in joggers, and jumper. She made sure she stays comfy during the entire ceremony and thus chose the most comfortable and easy outfit. Though there was a political element to her choice of clothes for the event. With Nike under the controversy of featuring the very controversial Colin Kaepernick kneeling quarterback in the latest campaign, Lewis showed all her support for the brand. The Good Place actress Kristen Bell looked fab in a Solace London couture and Forevermark diamonds. Tracee Ellis Ross in Valentino gown and Repossi jewels. The Stranger Things actor Millie Bobby Brown chose a voluminous off shoulder dress for the event. She matched the outfit with pastel pumps and very delicate jewellery. The actor won the outstanding supporting actress award in drama series. The Insecure actor dazzled the red carpet in a blue icy jumpsuit by Vera Wang. Something that needs to be highlighted here is that her dress wore some 3000 crystals. Yvonne Orji in a Georges Chakra gown, Stuart Weitzman heels and Hearts on Fire jewels. So “The Americans” star chose a very sensual number for the awards night. It was a long sleeved black feather dress with a plunging neckline and structured shoulders. The mid-section had black feathers and bottom revealed thigh-high slits. She wore champagne coloured heels and Stephen Webster earrings to go with the outfit. So this was the first part of the red carpet looks at Emmy’s this year. Stay tuned for the next part.